Well my contribution to the Premiere’s Flood Appeal looks like being limited to my own donation. Not a single bidder in my bag auction! To say I’m disappointed is probably an understatement. I’ve checked out other auctions and they all seem to be going really well. So I don’t know what else I can do except open the bidding to my lovely international readers and pay the overseas postage myself. So, if that’s what it takes, that’s what I’ll do. 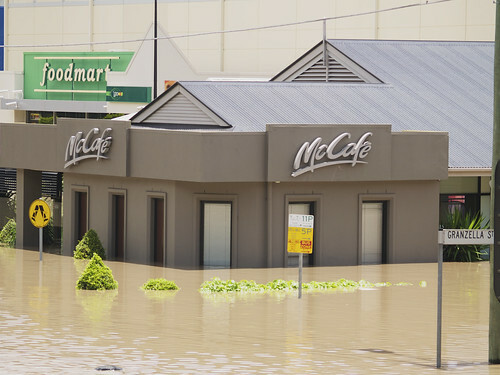 Just to remind you, this auction is for the Premiere’s Flood Appeal to assist the people of Queensland who have lost their homes, their businesses, their livelihoods and in some tragic cases , their loved ones. I have made two bags – one gold and green and the other green and gold (Aussie colours). They’re perfect as “green” shopping bags or to take your latest sewing project to sewing group with you. I have set up two auction pages – one for each bag. There you will find more details and photos of each bag. If you want to bid on a bag just leave a comment (NOT HERE) but on the page for the bag you’re interested in. The auction will finish on Monday 24th January. If you are the winning bidder I will send you an email. To pay just go to the Premiere’s Flood Relief Appeal donate the amount and send me an email copy of your receipt together with your address and I will post the bag to you. I will cover the cost of postage myself and the auction is open to International bidders too. Let the bidding commence! You can see the two auction tabs at the top of the page or just click here for bag 1 or here for bag 2. Let’s hope we can help swell the coffers to help those who really need our help. Thank you all for your generosity. Your bags are lovely but if it’s okay with you I am just going to send a donation to the Flood Relief Appeal. I’m glad you posted the information so I know my donation will go the the best organization. Thanks Sandi. Any donation would be wonderful.